KIFARU is a feature-length documentary film that follows the lives of two young, Kenyan recruits who join Ol Pejeta Conservancy's rhino caretaker unit - a small group of rangers that protect and care for Sudan, the last male northern white rhino in the world. Spanning over the course of the caretakers first four years on the job, KIFARU allows viewers to intimately experience the joys and pitfalls of wildlife conservation firsthand through the eyes of these Kenyan rhino caretakers who witness extinction happening in real-time. David Hambridge is an Emmy® nominated cinematographer & award-winning filmmaker based in the American South. He began filming KIFARU in May 2015 following a successful crowdfunding effort that he and Andrew led. Each trip to Kenya revealed a deeper personal narrative as an intimate bond between the rhino caretakers & Sudan became increasingly evident on these young rhino caretaker’s faces. Upon witnessing the concern that surrounded Sudan’s fate, the KIFARU team was exclusively trusted to document some of the most sensitive & historical moments that surround the extinction of the northern white rhinos. Four years have passed as David and his team have filmed alongside Ol Pejeta’s rhino caretakers during moments of profound love and loss. David took an unorthodox approach by focusing on the livelihoods and families that are attached to an animal teetering on the edge of extinction. Fundamentally, David believes this loss to extinction should not only be experienced by the entire world, but it should be felt. 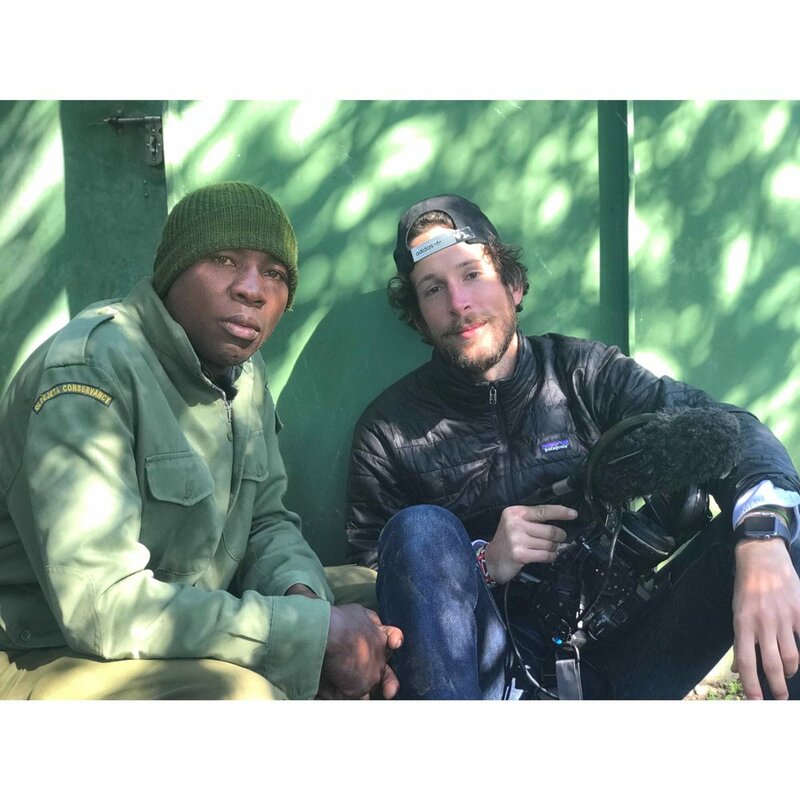 With KIFARU, David’s goal is to share that feeling with a worldwide audience for the first time - and hopefully the last. Andrew Harrison Brown, p.g.a. is an award-winning filmmaker that has traveled the world telling the stories of cultures often overlooked and under-appreciated. As a humanitarian, Andrew stumbled into a film career while working with numerous international non-profit organizations. Through this experience, he witnessed how stories told through images transcended barriers and acted as levers for change. Prior to producing & editing KIFARU, Andrew produced WHEN LAMBS BECOME LIONS (Tribeca 2018); Directed by Emmy award-winning Jon Kasbe, Executive Produced by Oscar-nominated Matt Heineman (CARTEL LAND). WHEN LAMBS BECOME LIONS was a grant recipient of Sundance Institute's Documentary Production Fund Grant in 2017. Andrew directed, produced & edited his previous project, SOMEWHERE IN BEULAH LAND; an award-winning short documentary. Andrew is also a proud descendant of Chief Tarhe of the Wyandot-Huron nation, a father of two and founder of Ragtag Tribe Films.